Porcelain Dental Crowns | Smile Angels of Beverly Hills - Bruce Vafa DDS. A porcelain crown is a type of restoration that fits over the tooth like a cap. It is designed to cover the entire tooth above the gum line. 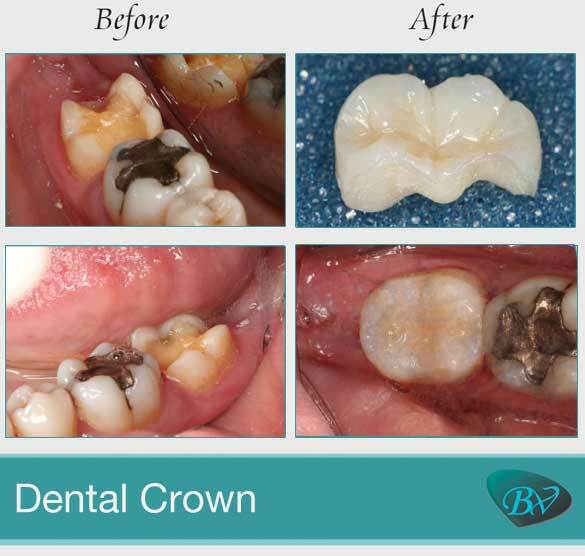 Our Beverly Hills dental crowns expert may recommend a crown if you have a tooth that has been damaged by tooth decay or dental trauma and cannot be repaired through more conservative treatments such as dental fillings or inlays and onlays. Dental crowns can also be used to replace missing teeth. 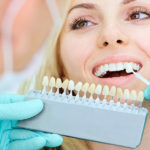 You may be a candidate for a dental crown if you have undergone a root canal treatment, have a large dental filling, have a tooth that has been fractured, have a dental implant or are getting a dental bridge, which is supported by crowns. At your initial appointment, our Beverly Hills porcelain crowns expert will perform a visual exam and may take dental X-rays or other images, which allow us to see beneath and inside the tooth. 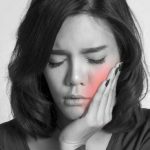 If the tooth has become infected or the pulp is damaged, you may need to have a root canal treatment before the crown can be placed. This protects your tooth and reduces the risk of future complications. When your tooth is ready, our expert in dental crowns in Beverly Hills, in heart of Los Angeles, will numb the area so that you feel nothing but comfortable throughout the procedure. 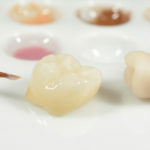 Some of the enamel will be trimmed so that the tooth can be shaped in preparation for the crown. We will take dental impressions, which allow the crown to be customized for your tooth, and the dental lab will make your new crown. A temporary crown will be placed until your permanent crown is ready. Once our expert in porcelain crowns in Beverly Hills, in heart of Los Angeles, bonds your new crown onto your tooth, you will be ready to go. Most dental crowns can last many years, especially when they are well maintained. You will need to brush carefully and floss because even though the porcelain cannot decay, the tooth underneath it may still be vulnerable. If you grind your teeth, a mouth guard can be used to protect your new restoration. Give us a call today to learn more about how dental crowns can be used to restore your smile or to schedule your appointment with our dentist in Beverly Hills.